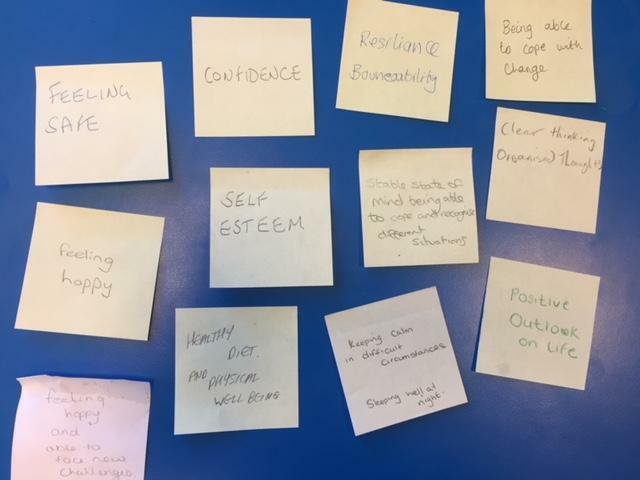 We held our first well-being transition event in school on Thursday 28th June 2018. Parents of children that are moving up into KS2 in September attended. There was the opportunity to ask any questions and find out the main changes that their children will face in September. The overall aim was to ensure that the transition for their children runs as smoothly as possible. 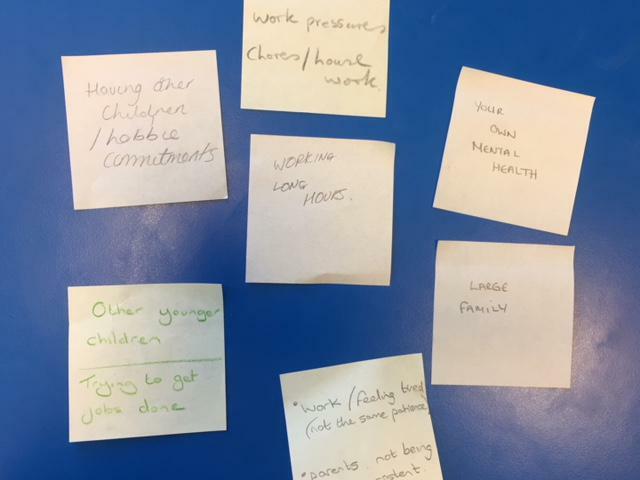 Parents were introduced to the well-being team within school: Miss Tierney (PSHE lead), Mrs Boulton (SENDCO) and Janet Bostock (school councillor). 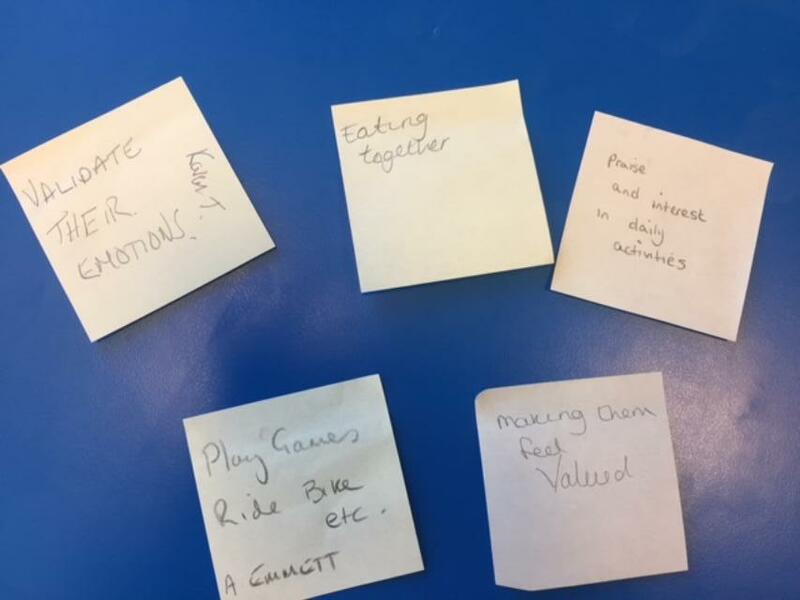 We discussed how, as a team, we meet not just the educational needs of the children but their emotional health and well-being needs too. 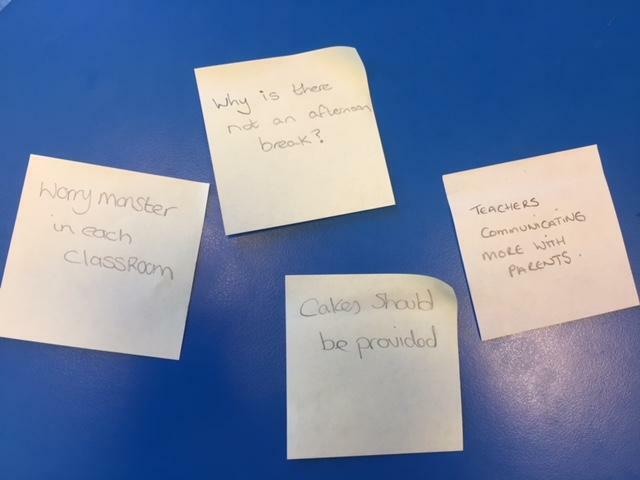 Below is an outline of the session, including parent comments. Thank you to all those that attended and for your continued support of your child's education. The World Health Organisation defines mental health as a state of wellbeing in which every individual achieves their potential, copes with the normal stresses of life, works productively and fruitfully, and is able to make a contribution to their community. Mental health includes our emotional, psychological and social wellbeing. It affects how we think, feel and act. Like physical health, mental health is something we all have. It can range across a spectrum from healthy to unwell; it can fluctuate on a daily basis and change over time. Building strong mental health early in life can help children build their self-esteem, learn to settle themselves and engage positively with their education. This, in turn, can lead to improved academic attainment, enhanced future employment opportunities and positive life choices. What will be different for your child in KS2? Increased responsibility for own things. No milk and fruit but they can buy toast and fruit at playtime. How can you support your child’s mental health and wellbeing? Allow time and the freedom to play, indoors and outdoors. Being in good physical health, eating a balanced diet and getting regular exercise. Being part of a family that gets along well most of the time. Taking part in activities with other children. Feeling loved, trusted, understood, valued and safe. Make school staff aware of any family issues that may affect your child; this helps us to support your child in school. If there is only one thing you can do…spend 10 minutes of each day to ask your child how their day was and try to give them 100% attention. This will help them feel valued and cared for.